All the delicious food has kept me sane in Kuala Lumpur while I’m on the verge of insanity trying to get my motorcycle out of the port. The Indian food is at the top of my list, and there’s one restaurant that holds my heart. 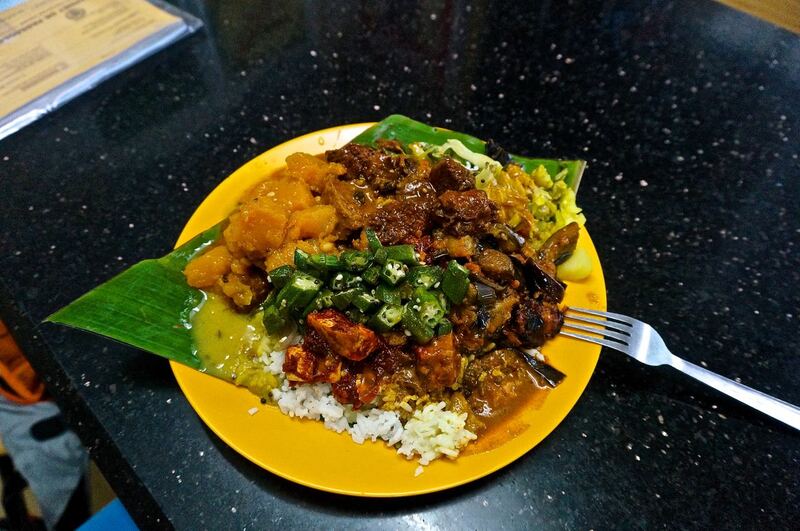 It’s in Little India, which is very easy to get to from anywhere in the city. Get a train to KL Sentral and from there it’s an easy ten minute walk to Brickfields, which is where Little India is located. There’s one main bustling street with colourful arches going down both sides of the street. Any local can point you in the right direction if you ask for Brickfields. At the beginning of the street is a large fountains with a bunch of elephants blowing water. There’s a lot of different shops along the strip, but I go for one reason. From the fountain, less than 200 meters down on the right side is Seetharam Family Curry House. There’s every type of variety and flavour your heart could ever desire. On the left side of the restaurant is a buffet looking spread that stretches forever. At the start of the food line a guy will give you a plate with a big banana leaf and a pile of rice on it. Then you are free to load up your plate with whatever you want. They do everything from northern to southern Indian style. About two-thirds of the strip is all types of vegetarian dishes and the rest is all types of meat curries, masala, Korma, and other delicious ones that I have no idea the name. Also, you can order fresh nan bread that goes perfect with it. You can make a beautiful plate of artwork full of colourful sweet potato, eggplant, okra, green beans, tempe, black pepper chicken, fish curry, dhal, and beef masala. All the flavours blend and your plate of food is constantly morphing as sauces combine. You will be surrounded by all locals filling up on authentic food. You can eat with a fork, or do as them and eat with your hands. The best part about this massive plate of food is the price. After you sit down to eat, a guy will come over, take a look at your plate, and then give you your check to pay when finished. You never know in Asia what’s coming in a situation like this, and it’s not uncommon to get over charged as a westerner, but fear not. Out of every time I ate there, my average bill was six ringgit, which is US$1.80. One time I had a gigantic plate I couldn’t even finish and it was only five ringgit. 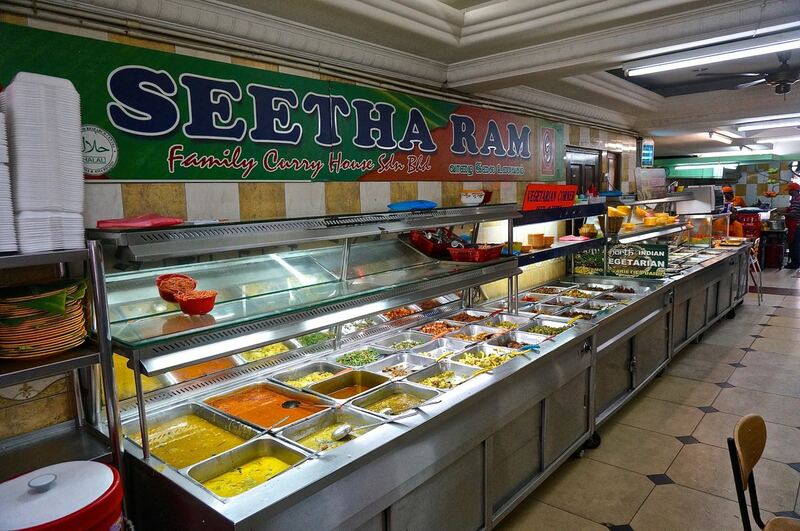 I’ll be missing Restoran Seetharam Family Curry House. 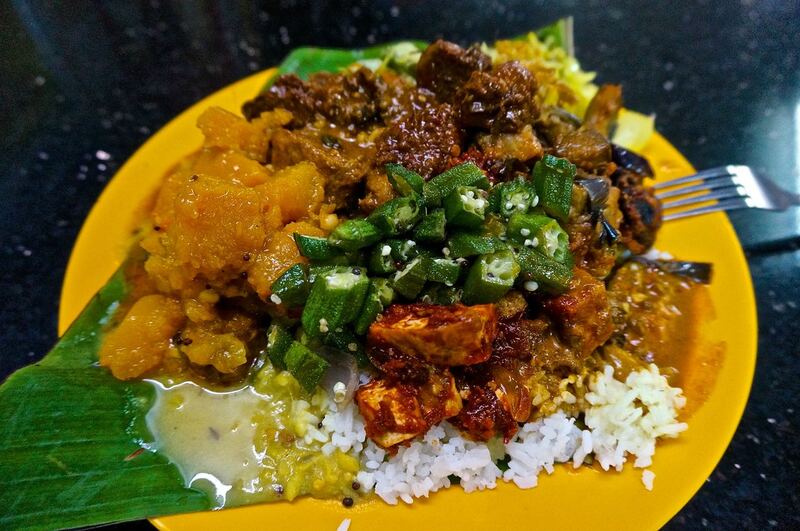 This entry was posted in food, Malaysia travel, Photography, travel and tagged best food, best restaurants, brickfields, indian food, kuala lumpur, little india. Bookmark the permalink.